Fruit pies - those made with apples, peaches, blueberries and other fruits - are best served fresh out of the oven, but this may not always be possible. Luckily, fruit pies freeze well, whether they are unbaked or already cooked. Taking care to wrap a fruit pie well before freezing can ensure that it will taste just as fresh once it has been thawed and warmed. 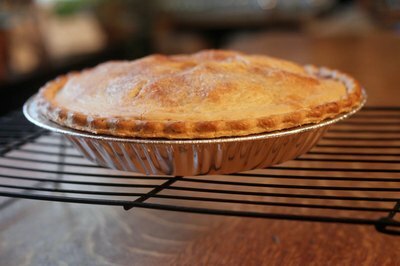 Make your fruit pie in a freezer-safe pie plate if you plan to freeze it and bake it at a later date. When you are ready to bake your pie, you will not need to transfer it to another dish. Mix apples, pears and any other fruit that discolors easily with a splash of lemon juice as you combine the ingredients for your fruit pie. The ascorbic acid in the lemon juice prevents discoloration before the pie is baked. You may need to add a couple more tablespoons of sugar to the fruit mixture once you have added the lemon juice. 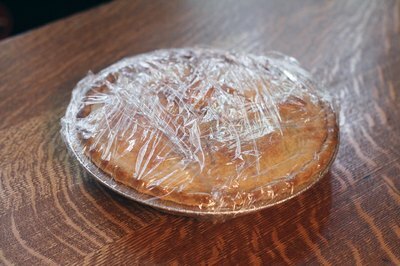 Wrap the pie well in plastic wrap. Make sure all of the crust is covered so that it will stay fresh in the freezer. 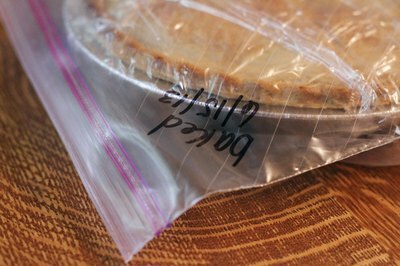 Put the unbaked fruit pie into a zip-top freezer bag. 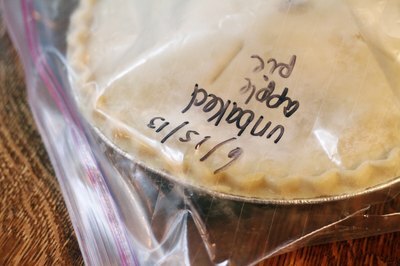 Mark the bag with the date and "unbaked" to remind yourself that the fruit pie is raw. Use the pie within 4 months to avoid spoilage. Place the baked fruit pie on a cooling rack, and allow it to cool completely. 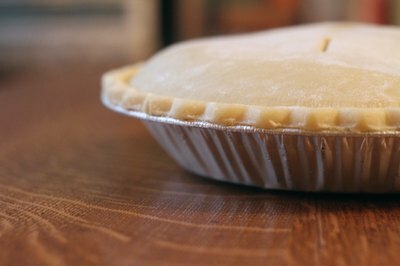 Freezing a cool pie eliminates the formation of condensation on the pie that occurs when a warm item is placed into a cold freezer. 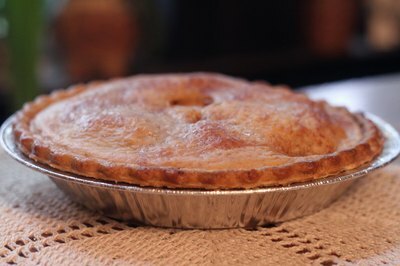 Condensation can lead to a soggy fruit pie when it is thawed. 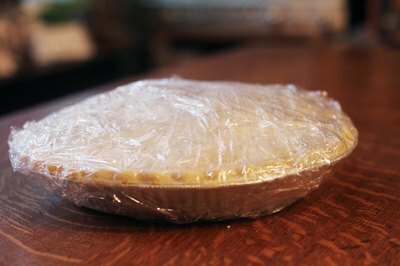 Wrap the room temperature fruit pie and pie plate in plastic wrap. 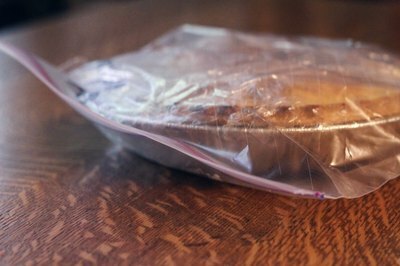 Place the wrapped fruit pie in a zip-top freezer bag. Remove any excess air from the bag, and zip it closed. Label the bag with the date. A fruit pie can stay in the freezer for about 4 months. Can You Refreeze Baked Pies That You Have Made With Frozen Fruit? 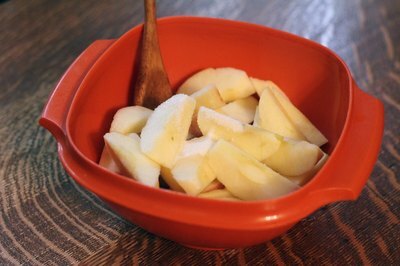 How Long Do I Bake a Thawed Raw Apple Pie?